All the informations about this computer come from Alberto Cavalcoli. This is the motherboard of the Prawec IIc. 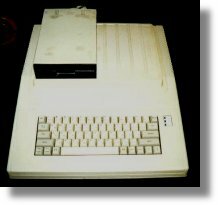 the Apple II clone realized in Bulgaria. 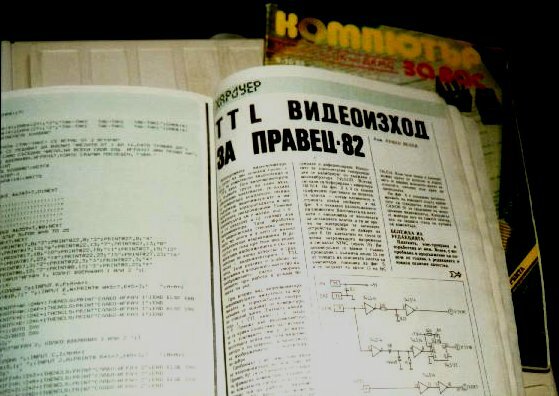 In the 80s, in east europe, happened somethings interesting, the capital of the electronic was Sofia and exactly Prawec, a little town at nord of Sofia. 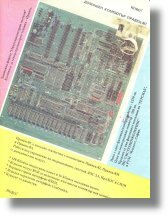 Here were producted the clones of the Apple II series, the Apple II clone was the Prawec 8, Apple IIe was Prawec 8A, Atos was Prawec 8D, PC 8086 was Prawec 16 and an advanced Apple IIe was Prawec 8c with RGB, RS232, Centronics, floppy controller and 128k RAM integrated on the motherboard. 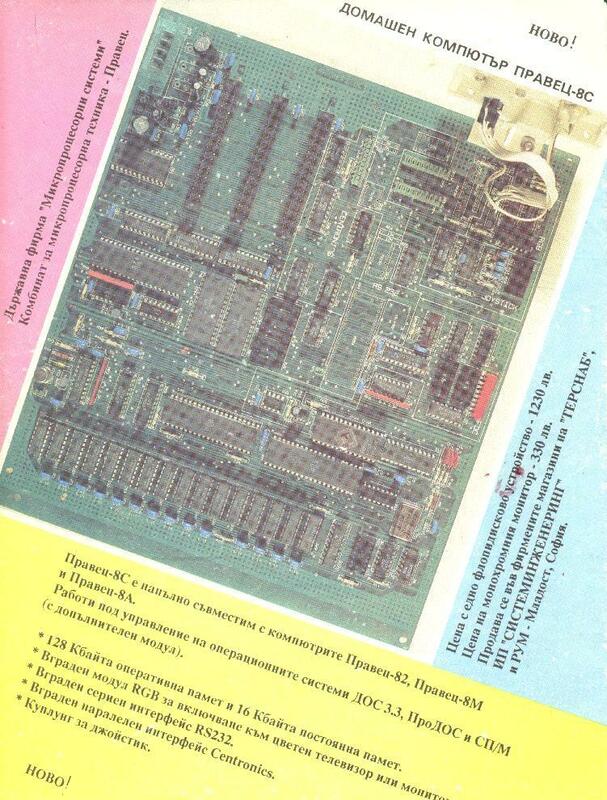 All chips were built in east europe, the 6502 too. The keyboard has double characters. Compatible with almost all the Apple's software, duplicated without any problems regarding the copyrights. 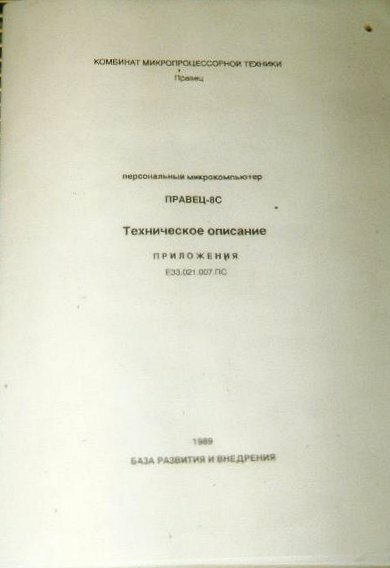 Ther is also software developed entirely in Bulgaria, and an AppleWorks clone too, called "Paris". There are only 3 slot, the 4, 5 and 6, because 1 and 2, usually used for serial and parallel, 3, usually used for the 80 columns and other 64kb, and 7 used by RGB are already presents on motherboard. On the Prawec you can use, DOS 3.3 and ProDOS, but also an operating system developed in Bulgaria like Plamen DOS. 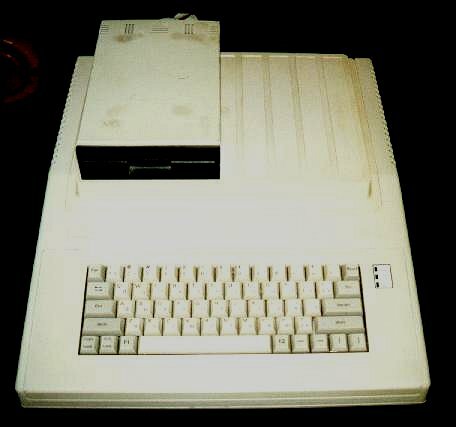 The bulgarian clone with a 5.25" drive. 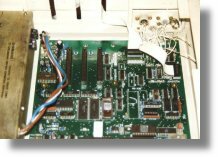 The drive has the mechanic of PC's drive, but the electronic has been changed in order to be Apple II compatible. The back of the Prawec 8c. You can see the floppy cable and , on the left, the ports RGB, serial, composite video with a NBC, Joystick. 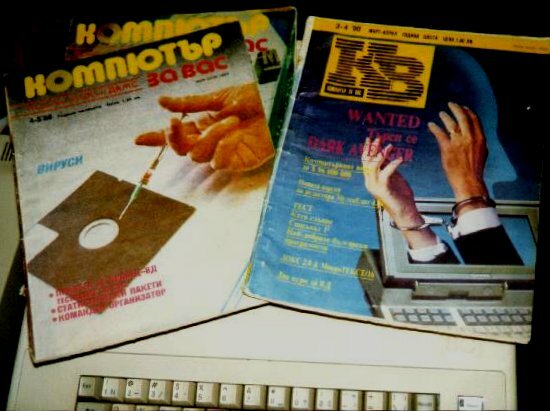 Bulgarian magazines of the 80s, when the Apple II was a leader market. The bulgarian magazines are full of interesting projects. 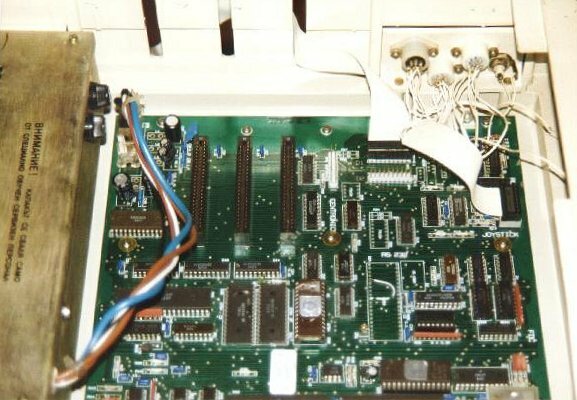 In this article there is the project of how to interface a Prawec 82 (a Apple II+ clone) with a TTL b/w monitor used by old PC.